pictures from RUM but I’ve little knowledge on the content – sorry. So my wednesday want is for more reading time, oh and to read Danish and obviously to have the below as my holiday home. 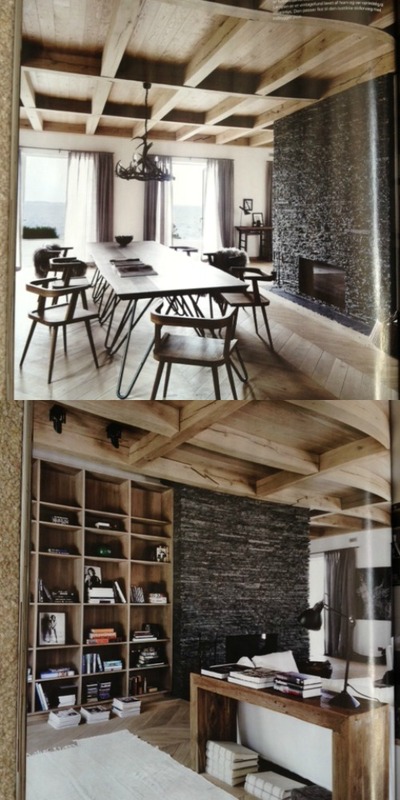 That herringbone floor above is totally gorgeous and the coffered ceiling a glorious idea. I can imagine a gorgeous evening drinking wine and reading here. 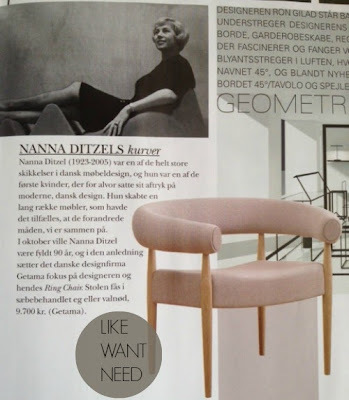 I also want the below Ring chair by Nanna Ditzel. They occasionally come up on 1stdibs and its a regular search of mine. I also lust after a Nanna Ditzel high chair for my son……. 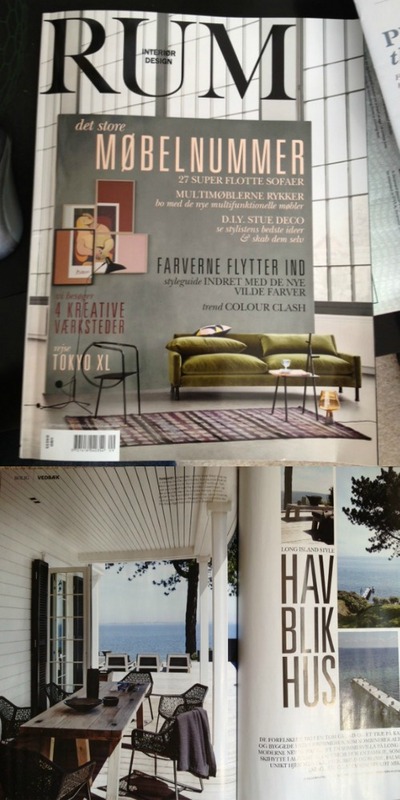 Hi Mary, your home sounds like mine, with constant piles of mags every where looking like little art installations! I have two children and the days of chilling with a mag are long gone (even though they are 18 & 11!) I've learnt to speed read and write a blog very quickly. I admire how you still manage to sound so eloquent in your blog posts, mine sound like gobbledy goop most of the time, but I still enjoy writing it and that's the main thing!